While it may not apply to a number of Pokémon fans, I’ve noticed somewhat of a cycle throughout my life when it comes to the game series. There’s the initial euphoria from the announcement of a new title and generation, followed by endless speculation and wishlists. Upon release, everything looks and feels fresh—until after a honeymoon period, where the new title is seen as either too derivative or too inaccessible to new fans. That is generally the feeling that I had with Diamond/Pearl and X/Y, while in contrast, I felt that Black/White and Sun/Moon were massive steps forward for the series. Ask any other Pokémon fan and they’ll be sure to offer wildly varied opinions about all the different generations. 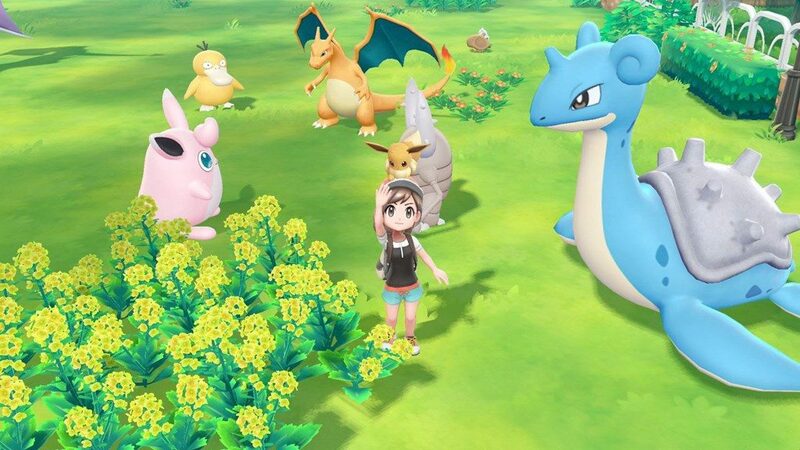 Regardless, while I’m happy that Pokémon has remained in the public eye through the years, I’ve never been fond of Pokémon GO, and the recent Let’s Go has been a tough pill for me to swallow. That being said, all of the advancements that the franchise has made, coupled with the technical capabilities of the Switch, is driving my imagination for what may come for the core Pokémon series in 2019. We can debate on and on about whether Let’s Go, Pikachu! and Let’s Go, Eevee! were proper “core” titles in the series, but regardless of the answer, we can all agree that they were essentially a remake of Pokemon Yellow. With this new 2019 mainline title, we’ll (presumably) receive a brand new slice of the Pokémon world. This means not just a new set of pocket monsters, but an entirely new region. Kanto, Johto, Hoenn, and Sinnoh were all based on different parts of Japan, while Generation V onwards took the series internationally. Unova was essentially New York City, Kalos was France, and Alola emulated Hawaii. I’m interested to know what other parts of the world that Game Freak may be looking at for their next title—probably wherever they’ve been going on vacation lately. I hesitate to suggest any real-world locales, just to avoid reducing major countries and regions into stereotypes for the purpose of speculating about a game. What I will say is that the conception of the new Pokémon region is going to have to match whatever new gameplay and graphical elements that will come out of Game Freak’s use of the Switch hardware. With all of these new tools to utilize, what would be the best environment to showcase a new era of graphical fidelity for the long-running series? The Pokemon: Let’s Go! titles proved that the Switch can make Kanto look more beautiful than ever. Whatever is coming next in this 2019 title, however, has to pop. And yes, I mentioned earlier that Pokémon: Let’s Go! was not exactly my jive. Still, as I played through the early portions of the game, I have to admit that there are elements that I quite admire about it, ones that I hope will carry over into the next title. 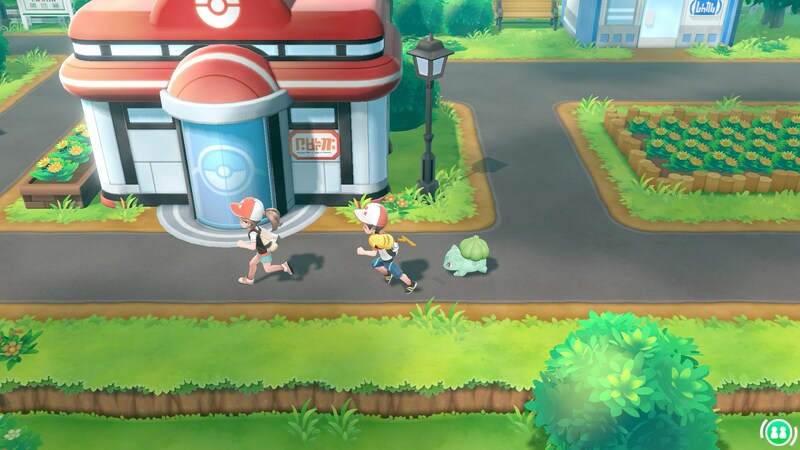 For one, having Pokémon actually appear in the overworld is not only a great idea, but something that I now believe that is essential for the next game in the series. Random battles are finally gone, and it has the added effect of making the world feel alive and breathing. Going further back, one quality-of-life improvement that Sun and Moon introduced and carried over to Let’s Go! is the lack of HMs needed to overcome environmental obstacles. Most players designate HMs to one member of their party, but I was one to spread the necessary HMs to all of my party members—call me irrational. The Ride Pokémon feature not only does away with this archaic method, but showcases your Pokémon in a more entertaining and visually-satisfying matter. Ultimately, continuity with the previous games is what matters to me the most. I’m not talking about story continuity (though that is also important, given how confusing the timeline is now)—blame it on my OCD, but I just really want to have all of my damn Pokémon from previous games in one spot. I’ve been carrying all of my Pokémon over since the Game Boy Advance titles, with hundreds of my beloved monsters in stasis in the cloud, thanks to the Pokémon Bank on the 3DS. To see these companions of mine depicted in full 3D graphics on an HD display after nearly two decades would be a real treat—assuming that Game Freak makes a game that runs well on the Switch. 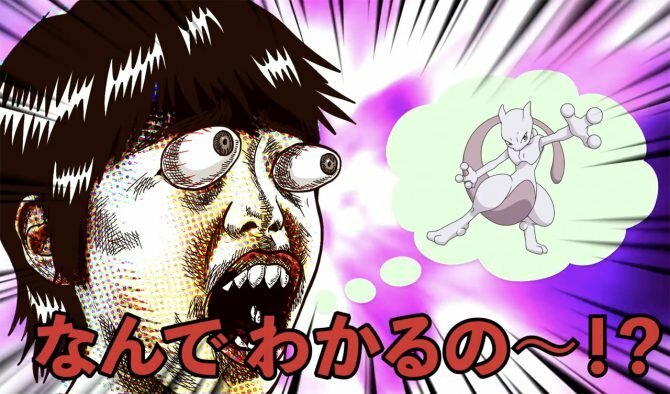 I think to expect too much of a revolutionary Pokemon game might be too much to ask for. While Pokémon is a series that I want to evolve (pun intended), massive graphical and gameplay evolutions are not something that I expect from Game Freak based on their track record. Sure, Sun and Moon looked radically different from Gold and Silver, but that all came from iteration over several generations. Plus, that game had some performance issues on the regular 3DS, leading me to believe that optimization is not one of Game Freak’s greatest strengths—not to mention that the Switch has apparently been “tough” for the developer. 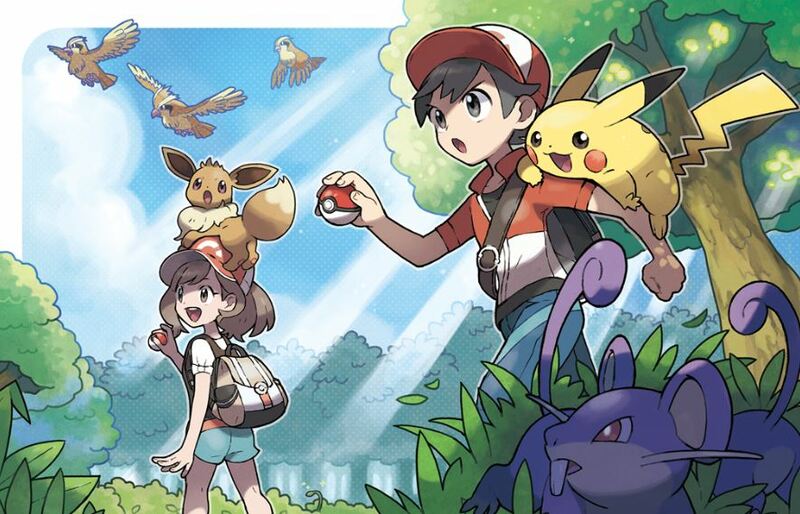 The dream of some sort of Pokémon MMO that fans have had for years just doesn’t seem viable, and beautiful concept art from fans depicting a new Pokémon game like a Breath of the Wild-style open-world might be too much of a pipe dream. 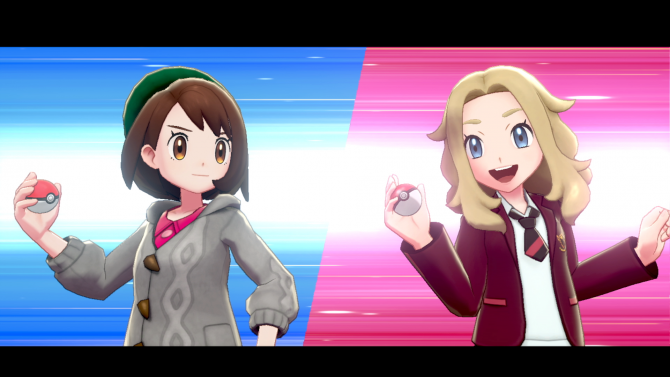 It isn’t the “small yet significant step” that each generation has observed, and for Game Freak to take such huge gameplay and graphical leaps when Ultra Sun and Ultra Moon still feel fresh would be a massive surprise. I still dream of a Pokémon game where Pokémon roam free and populate the land, ambient noises from monsters are prevalent, NPCs do more than stand for an eternity while waiting for challenges, and perhaps some more visually-stunning battles. Right now, I’m just expecting something that looks like Let’s Go!, with a different art style, new monsters, and the traditional method of catching. 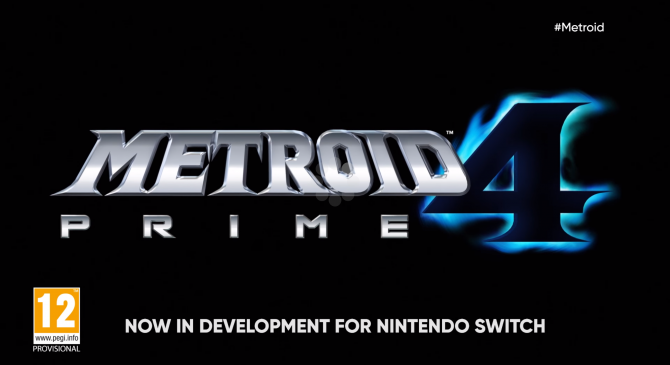 But with Mario and Zelda almost completely reinventing themselves for the extremely popular Switch, and with Pokémon‘s popularity at a new peak, it feels like the perfect storm for something entirely new to come for the series. 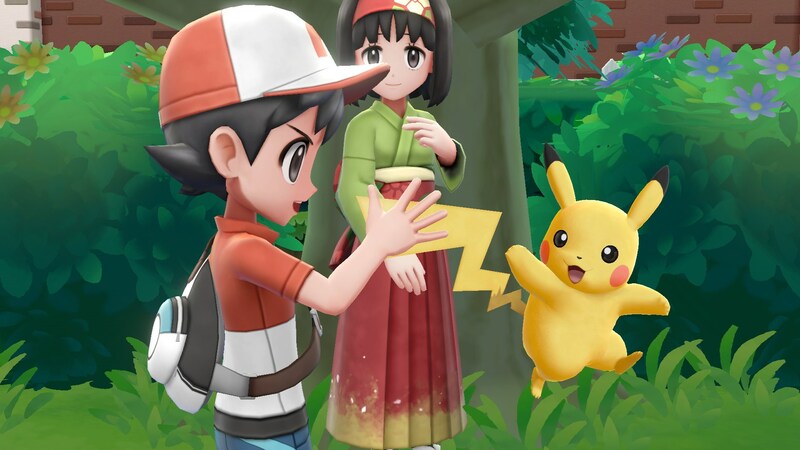 The next mainline Pokemon games are expected to Nintendo Switch in late 2019, according to Nintendo.